The Wire's Star Michael K. Williams Cast In Han Solo Film | Nerd Much? We still don’t know what this Han Solo spinoff is going to be about exactly, beyond being set before the events of A New Hope. Nonetheless, the cast is slowly trickling in after the release date was revealed. 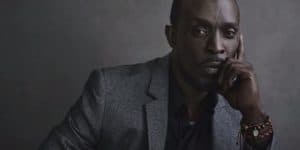 According to The Hollywood Reporter, Michael K. Williams, one of the stars in The Wire, will join Thandie Newton (The Pursuit of Happiness), Woody Harrelson (Now You See Me), Phoebe Waller-Bridge (The Iron Lady), and Emilia Clarke (Game of Thrones). We don’t know what role Williams or the others will be playing, but we do know that Alden Ehrenreich will be playing Han Solo himself, and Donald Glover is to be Lando Calrissian. If you don’t remember Williams from The Wire (go watch the show) you might recognize him from Ubisoft’s recent debut into filmmaking, Assassin’s Creed with Michael Fassbender. Filming is already underway, with directors Phil Lord and Chris Miller (both directed 2012’s 21 Jump Street), script writers Jon and Lawrence Kasdan, and producers Kathleen Kennedy and Allison Shearmur. Han Solo will hit theatres come May 25, 2018 to reflect the release dates of almost all of the other Star Wars films in the series. If nothing else, we can be sure that Han Solo will be an exciting space western with less laser tag and more dodging gunfire, just because it stars our favorite space cowboy. What possible role do you think would fit Michael K. Williams? Let us know in the comments below!